Pink Lotus The supreme (Nelumbo nucifera) Pink Lotus, generally reserved for the highest deity is the Lotus of the historical Buddha. This is the mystic lotus, represented only in images belonging to a few esoteric sects. The flowers may be in full bloom and reveal their heart, or in a bud. They may be supported by a simple stem, a triple stem (symbolizing the three divisions of Garbhadhatu: Vairocana, lotus and vajra), or a quintuple stem (symbolizing the Five Knowledges of Vajradhatu) The eight petals represent the Noble Eightfold Path and the eight principal acolyte deities of the central deity on the mandalas. The flowers may also be depicted presented in a cup or on a tray, as a symbol of homage. Pink Lotus Pure Essence 2ml glass bottle with cork & screw cap $3.00 + $3.00 shipping - Renowned for enhancing love and joy! This is the symbol of the victory of the spirit over the senses, of intelligence and wisdom, of knowledge. 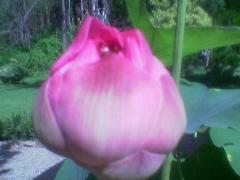 It is always represented as a partially opened bud, and (unlike the red Lotus) its centre is never seen. It is the Lotus of Manjusri, and also one of the attributes of Prajnaparamita, the embodiment of the perfection of wisdom. We currently offer a select few rare rainforest tropical floral essences such as Sacred Buddha, Water Plum, Sona Champa, & Pink Lotus. These essences are pure and undiluted and can be used in misting, aroma therapy, as a perfume, spa bath, and a drop or two in your favorite carrier oil such as our cold pressed Jasmine Rice Bran oil. A single drop is both sweet, relaxing, meditative and potent to the senses. Heavenly unique rare tropical floral fragrances, these flowers can be found growing in the gardens surrounding Buddhist temples in southeast Asia. As if I'd slept a thousand years underwater I wake into a new season. I am the blue lotus rising. I am the cup of dreams and memory opening--I, the thousand-petaled flower. At dawn the sun rises naked and new as a babe; I open myself and am entered by light. This is the joy, the slow awakening into fire as one by one the petals open, as the fingers that held tight the secret unfurl. I let go of the past and release the fragrance of flowers. I open and light descends, fills me and passes through, each thin blue petal reflected perfectly in clear water. I am that lotus filled with light reflected in the world. I float content within myself, one flower with a thousand petals, one life lived a thousand years without haste, one universe sparking a thousand stars, one god alive in a thousand people. If you stood on a summer's morning on the bank under a brillant sky, you would see the thousand petals and say that together they make the lotus. But if you lived in its heart, invisible from without, you might see how the ecstasy at its fragrant core gives rise to its thousand petals. What is beautiful is always that which is itself in essence, a certaintly of being. I marvel at myself and the things of earth. I float among the days in peace, content. Not part of the world, the world is all the parts of me. I open toward the light and lift myself to the gods on the perfume of prayer. I ask for nothing beyond myself. I own everything I need. I am content in the company of god, a prayer that contains its own answer. I am the lotus. As if from a dream, I wake up laughing. The lotus grows in the fresh water of still ponds and lakes. The magnificent blossom unfolds gradually, one petal at a time, until full-bloom in the morning when the suns rays touch the flower. As the Lotus awakens and blooms at the first rays of the morning sun, the interdependence between the Lotus and the sun is a symbol of love. The plant has its roots deep in the soil under water. The long, cylindrical stalk passes through the water and rises above the waters surface. The mud in which the Lotus roots grow represents material life, while the water through which the stalk passes represents the astral world. 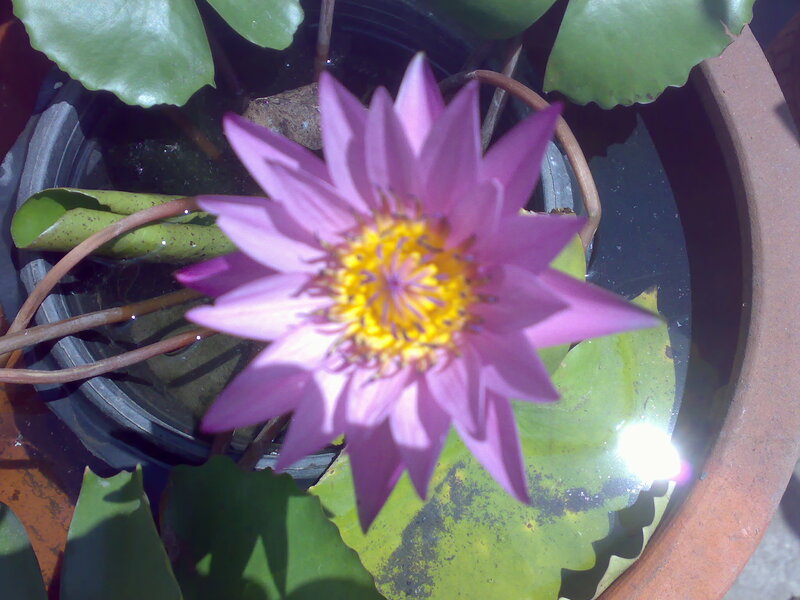 When the plant reaches the surface of the water and opens its bud to the sun, it represents spiritual being. The Crown Chakra - the energy center at the top of the head is also called, The Thousand-Petal Lotus, which is a symbol of final revelation. It is believed that the transformation of the world into paradise can occur through the Lotus, which expounds fully the oneness of all life. In Buddhist tradition, the fully opened lotus has a strong solar character, and its petals are likened to the rays of the sun; it is a symbol of enlightenment. In the Egyptian tradition, also, the same theme is repeated. Meditating on the Lotus brings harmony into all aspects of our being, within and without. Given the Lotus plants potency as a symbol, and its thousands of years of association with spiritual practice in many traditions, we believe that this essence is the foremost flower essence on this planet. confusing, Lotus opens up the case by clearing the picture. Lotus aids in cleaning the entire system of toxins, physical or subtle. It can be used in bath therapy, and can also be used locally along with Lotus oil, or in a cream or lotion base with Lotus essence added. The essence augments the effectiveness of Kinesiology, Aromatherapy, Homoeopathy and tissue salts and is also used on acupressure points. the 4th dynasty greatly valued the sacred Lotus in religious ceremonies and funerals. 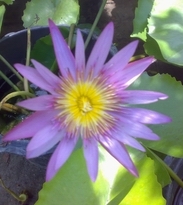 Lotuses are 5 species of water lilies, three in the genus Nymphaea and two in Nelumbo; both genera are members of the water-lily family, Nymphaeaceae. Lotus is also the name of a genus in the pea family, Leguminosae, which contains such plants as the birds-foot trefoil, Lotus corniculatus. Nymphaea lotus, the Egyptian white lotus, is believed to be the original sacred lotus of ancient Egypt. 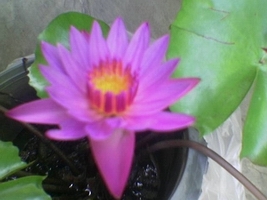 It and the Egyptian blue lotus, Nymphaea Caerulea, were often pictured in ancient Egyptian art. The white lotus is a shallow-water, night-blooming plant with a creeping rootstock (rhizome) that sends up long-stalked, nearly circular, dark green leathery leaves, which float on the surface. The flowers, up to 25 cm (10 in) across, remain open until midday. The blue lotus is a smaller, less showy day-blooming plant. The East Indian lotus, Nymphaea Nucifera, found in southern Asia, was introduced into Egypt about 2,500 years ago but is no longer found in the Nile region. The Buddhists of India, Tibet, and China consider its flowers sacred. The lotus, Nymphaea lotus, bears many-seeded, berrylike fruit and leathery, floating leaves that may reach 50 cm (20 in) across. The cup-shaped flowers of the lotus were often represented in ancient Egyptian art and architecture. Lakshmi (luhk-shmee), wife of the Hindu god Vishnu, and one of the incarnations of the Mother-Goddess, or Devi, is the goddess of fortune and prosperity as well as the epitome of feminine beauty. According to Hindu legend she was born radiant and fully-grown from the churning of the sea. Lakshmi is portrayed as sitting on a lotus, her traditional symbol. The Lotus flower has for thousands of years symbolized spiritual enlightenment. Indeed, this flower essences purpose is to accelerate spiritual evolvement and enhance healing on every level within the system. The Lotus in eastern culture bears a similar symbolism to the Rose in Christianity. In Buddhism and Hinduism many of the deities are pictured sitting upon a Lotus or holding a Lotus blossom, the symbol of enlightenment. Rose of Sharon blooms in arid desert conditions just as the lotus rises and blooms in all its magnificence from the muddy depths of the rivers. This action of the Lotus flower is true of animals as well as human beings. Lotus essence acts on all levels encouraging a gentle unfolding of the highest potential within the animal. Lotus offers one of the highest vibrations of any flower. Animals, even those who have been badly abused or neglected, rise easily to the highest vibration presented to them. By offering an animal essence of Lotus she can rise above the oppression and fear of her past becoming fearlessly present in the moment at hand. As well as assisting an animal to overcome past abuse and trauma it is an excellent choice at the time of an animals death. Given directly by mouth or simply anointing the animals crown (top of the head) and heart (center of chest) chakras Lotus eases the spirit out of the body and assists it forward towards its highest potential in the realm of spirit. creation story. Because the flower opens each day and closes each night, it is a symbol of rebirth and eternal life, the main theme of Egyptian religion. According to the creation story, Ra, the Sun God, created himself from amidst chaos and first emerged from the petals of the Lotus flower. When Ra returned to the Lotus flower each night, its petals enfolded him once again. The Lotus was the symbol of the Upper Kingdom of Egypt, seen as the tall white crown, symbolic of the Lotus bud. The Lotus plays a very important part in Thai life. It is the countrys most common flower that can be found in ponds, swamps, small canals, roadside ditches, even in jars and on top of pillars in temples. 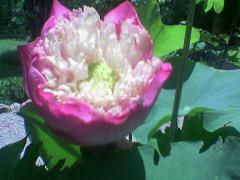 Five kinds of Lotus are mentioned in Thai literature. The flowers rich symbolism has embellished Thai literature since ancient times. The Lotus is associated with heavenly beings. Many Brahman Goddesses have Lotus blooms in their hand when portrayed in paintings. A variety of water lilies share the same Thai name as the Lotus. These names are popularly used to name people, monasteries, provinces, districts and villages because of their favorable connotations. The Lord Buddha compares man to four states of the Lotus. Thai Buddhists always use the Lotus in paying homage to the image of the Buddha. In this symbolic act, three lotus blooms are offered for the three gems or Rattanatrai. The Lotus has many other uses. It has medicinal values in its petals, stamen and root. The seeds and the young leaves are delicious. The large tough leaf can be used to wrap cooked food. Their handicrafts are inspired by the flowers form and beauty. The Chinese have always loved lotus flowers. They are thought of as being like gentlepersons, who keeps themselves clean, alive and healthy in a dirty environment. Essentially the Lotus flower represents creative power and purity amid adverse surroundings. It is also a symbol of the seventh month, summer. In China, there are many poems about the Lotus flower, often describing how they come out of the dirty mud under the water and yet retain their pureness, freshness and beauty. Chinese poets also use Lotus flowers to inspire people to continue striving through difficulties and to show their best part to the outside world, no matter how bad the circumstances may be. This is understood as being just like the Lotus flower, bringing beauty and light from the murky darkness at the bottom of the pond. Another symbolic characteristic of the Lotus flower leads from the observation that the plants stalk is easy to bend in two, but is very hard to break because of its many strong sinuous fibers. Poets use this to represent a close unbreakable relationship between two lovers or the members within a family, showing that no matter how far away they might live nothing can really separate them in heart. In Buddhism the lotus flower symbolizes faithfulness. The golden Lotus that is mentioned in Buddhist sutras has two meanings; one is the symbol for the achievement of enlightenment and the other points towards a real flower, which is beyond our normal perception. The influence of a Lotus flower painting is to open us up to beauty and light. A good Lotus flower painting can act as a reminder of the miracle of beauty, light and life. This reminder, communicated on an emotional level, is said to aid both spiritual and practical understanding of Tao, the world and our place in it. when the virtues of the Buddha develop therein the lotus blossoms. This is why the Buddha sits on a lotus in bloom. In Tantrism, it is the symbol of the feminine principle. The Lotuses are usually differentiated by their color and grouping, in three or five flowers, which may or may not be combined with leaves.